To visit the conference site click here. Call for paper click here. This is a three-year funded, full-time PhD bursary for a collaborative doctorate between The Serpentine Galleries and the Centre for the Study of the Networked Image in the School of Arts and Creative Industries at London South Bank University. The Serpentine Galleries in London is one of the world’s foremost contemporary art and architecture institutions,which is in the process of developing a digital strategy within its organisation. One problem the Serpentine has identified is a lack of capacity for the arts to influence the direction of new technologies because organisational networks, through which new ways of thinking about the future of the arts can travel and flourish, remain nascent. One of the overarching issues for the research would be to identify the barriers to greater art and technology cooperation at the institutional level and to identify practices which could act as catalysts for future cooperation on an inter-institutional level. submission of a thesis/portfolio submission in 2021.
learn from the digital strategies pursued in the public arts field over the last decade and how might it enmesh with and impact upon public policy and practice. Further we welcome research which asks how R&D functions within the arts/institutional space, and what are its precedents in the fields of both art and computer science. -What might cultural distribution look like within the framework of digital curatorial practice/production and digital/networked art practices? -What does an audience for contemporary art look like in a distributed system? stage development of advanced technologies? 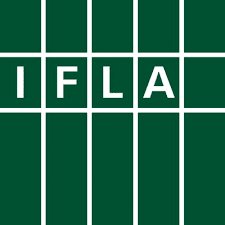 IFLA participates on the WiFi4EU programme. This is an initiative of the European Commission which promises to expand significantly access to public WiFi around the European Union, with a budget of €120 million. Libraries are explicitly mentioned as beneficiaries.